Bollards and Bollard Bike Racks are a great way to add to the atmosphere of your facility while also providing visitors with dependable and safe bike parking. With the current emphasis on going green, more and more people are reverting to riding bikes whenever possible. Show visitors you care about their well-being and improving the environment by taking the time to accommodate everyone with ample, secure places to park their bikes. The 4-1/2" O.D. or 8" O.D. 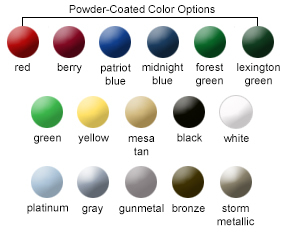 heavy-duty steel bollard bike racks are available in galvanized and stainless steel, as well as a complete range of vibrant, powder-coated colors. 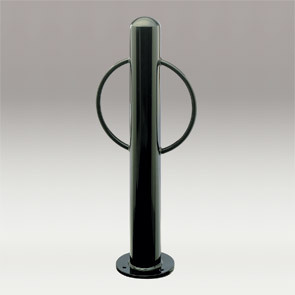 Bollards and bollard bike racks also come in one or two round arms and your choice of an in-ground or surface mount. All bollards and bollard bike racks are 36"High. Drop In Anchors available for concrete installation.